Hi, it's Mona here! Today I will show you a simple summer feeling birthday card created with Lawn Fawn products. 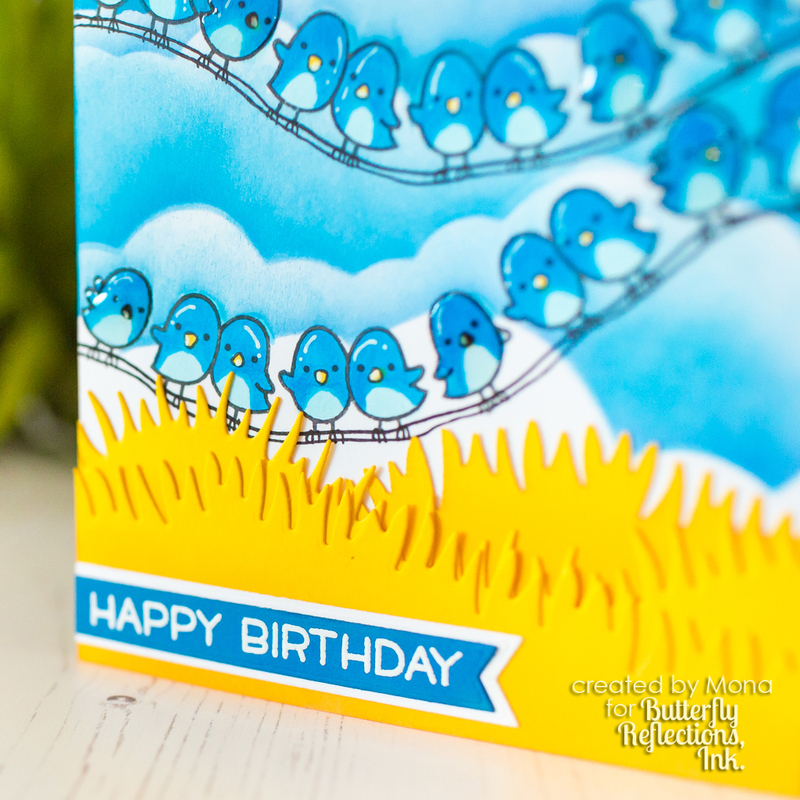 First I stamped the bird images from the Simply Celebrate Stamp Set then I masked them. I made the cloudy background with Puffy Cloud Borders Lawn Cuts as a stencil. For the background I used Blueprint Sketch and Salty Ocean Distress Oxide inks. Then I removed the masking and colored the birdies with my Copics. 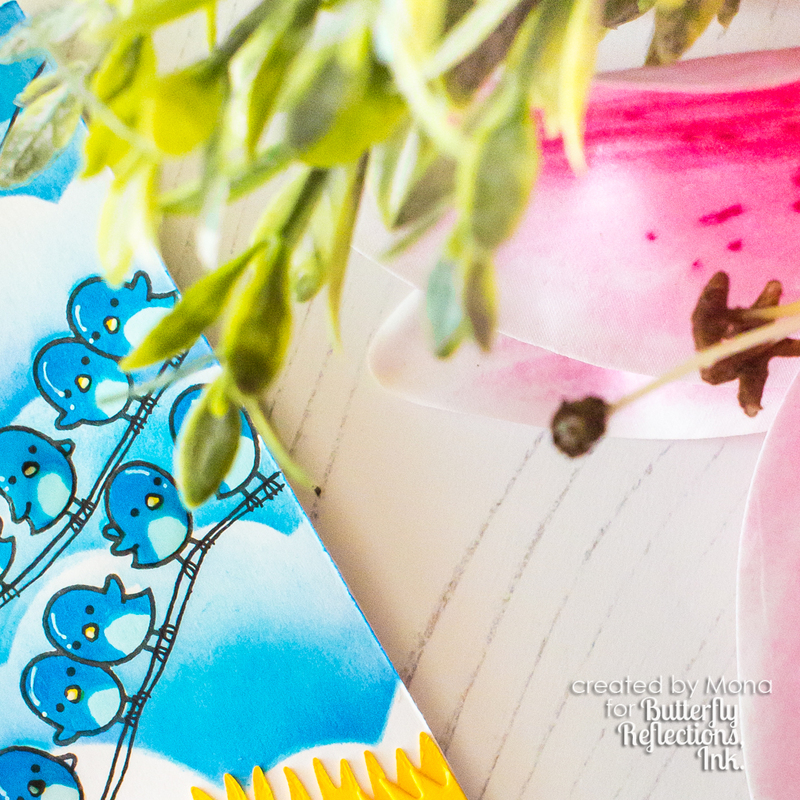 To achieve a little 3D effect I put Glossy Accents on few birds. Finally I made a die cut from yellow cardstock with Grassy Hillside Borders Lawn Cuts and blended it with Wild Honey Distress Oxide ink and Mini Ink Blending Tool. I made die cuts with Everyday Sentiment Banners Lawn Cuts , stamped on it the sentiment with Versamark Watermark Stamp Pad and heat embossed with Altenew Pure White Crisp Embossing Powder. 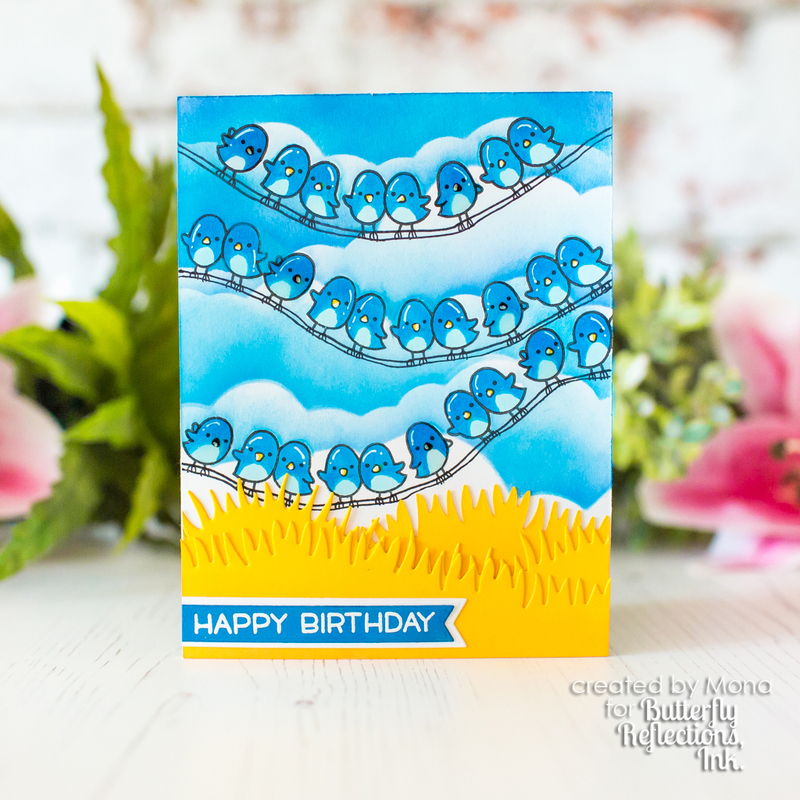 The Happy Birthday sentiment is from Hay There Stamp Set. Thanks for stopping, see you next time.